Ora Chorn is huge with a very dignified refined feel. 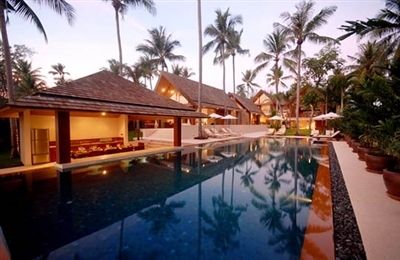 It is in a wonderful setting – one of the very best in Koh Samui, if not Asia. We loved the open airy feel with so much space (there is room for another two or three bedrooms). The villa has a tranquil but serious vibe which, if we were really picky, would benefit from some warm touches to make it more homely. Don’t get us wrong, it is still eminently comfortable with huge bedrooms, great bathrooms, fabulous views and an extremely private and peaceful setting. We particularly liked the poolside sala for dinner: great views and a lovely evening temperature (beware of the slippy floor though). The staff were lovely; the villa manageress in particular, who, once relaxed, proved to be a real character – confident, efficient, friendly and full of useful information. Her English is excellent (the other staff were average) and she was very determined to make our stay enjoyable – which she easily succeeded in doing. The elegance of the design of Ora Chorn does stand out, the owner has not crammed huge numbers of bedrooms into the space available giving the very chic architecture air to breathe and be enjoyed. We felt the designer had done a really nice job giving each bedroom its own space and privacy, especially the master bedroom at the sea front and the top bedroom in the main pavilion which has a great private sun terrace and sea views. Rather oddly, two bedrooms have glass walls to the ceiling (with no curtains) but the bathrooms with outside walled or balcony baths were very enjoyable. There are relatively few surprises – some people might prefer TVs in the bedrooms although the TV lounge has a flat-screen TV and DVD players viewed from ‘put your feet up’ comfy sofas. Nor is there a stereo in the public spaces although each bedroom has an iPod player. Staff are around at meal times, preparing food in the open-plan villa kitchen, but were very discrete. based on 1 user reviews. Ora Chorn is huge with a very dignified refined feel. 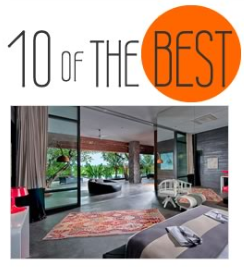 It is in a wonderful setting – one of the very best in Koh Samui, if not Asia. We loved the open airy feel with so much space (there is room for another two or three bedrooms). The villa has a tranquil but serious vibe which, if we were really picky, would benefit from some warm touches to make it more homely. Don’t get us wrong, it is still eminently comfortable with huge bedrooms, great bathrooms, fabulous views and an extremely private and peaceful setting. We particularly liked the poolside sala for dinner: great views and a lovely evening temperature (beware of the slippy floor though). 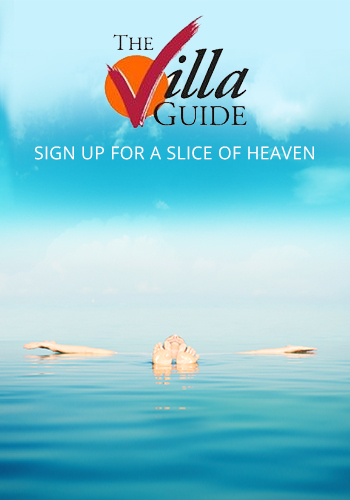 The staff were lovely; the villa manageress in particular, who, once relaxed, proved to be a real character – confident, efficient, friendly and full of useful information. Her English is excellent (the other staff were average) and she was very determined to make our stay enjoyable – which she easily succeeded in doing.